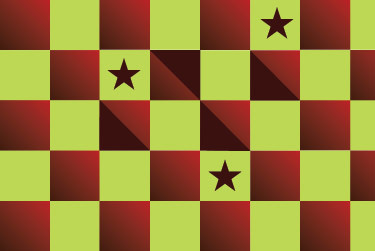 Here are the steps to create a decorative checkerboard. Draw a perfect square and then duplicate it. Press Alt+drag to duplicate it. 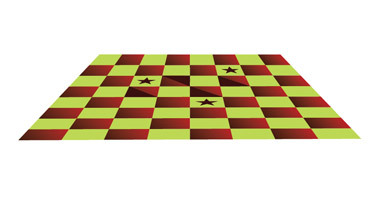 Rotate the figure to 180% using the Rotate tool and Shift key. Press Alt+drag to duplicate the four squares. Select both the rows of squares and Alt+drag to duplicate again. 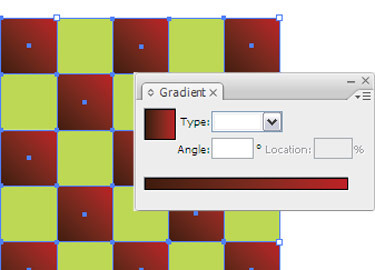 Create two tones of gradient and make sure to drag and drop to the Swatches palette. 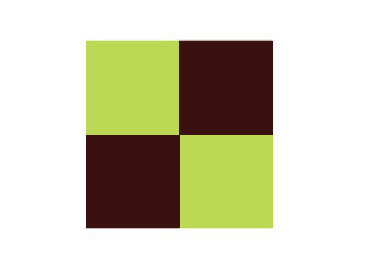 Apply to each of the brown squares. Use the Pen tool to create a design as shown below. 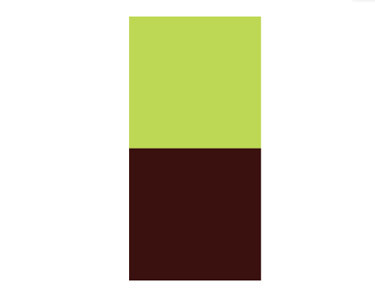 Create two tone gradients and move it to the Swatches palette. Use the Gradient tool to apply it. Then duplicate it and move to another blue square. Add a few decorations. Choose everything and group. 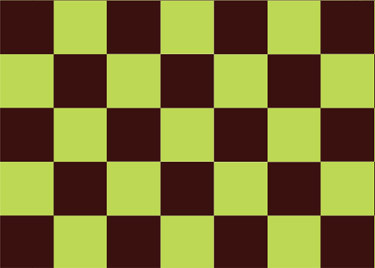 You can use this checkerboard which you can use as a background.